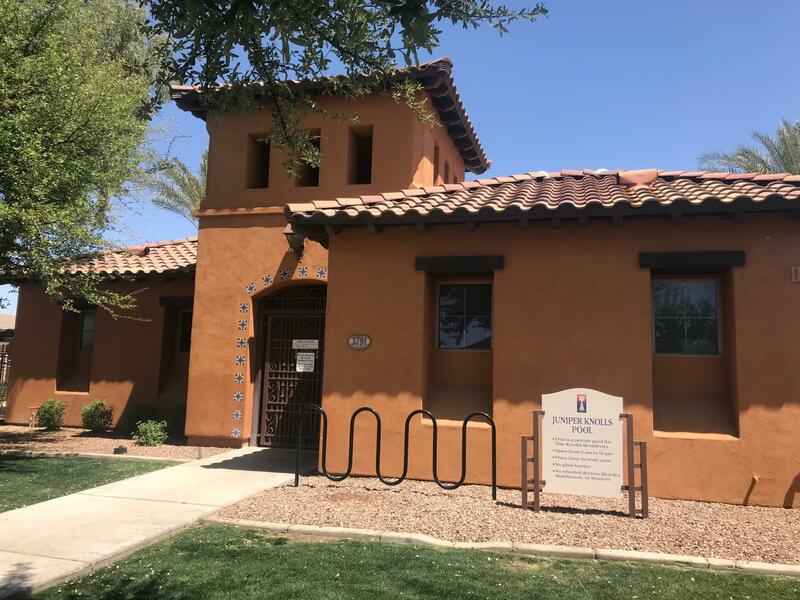 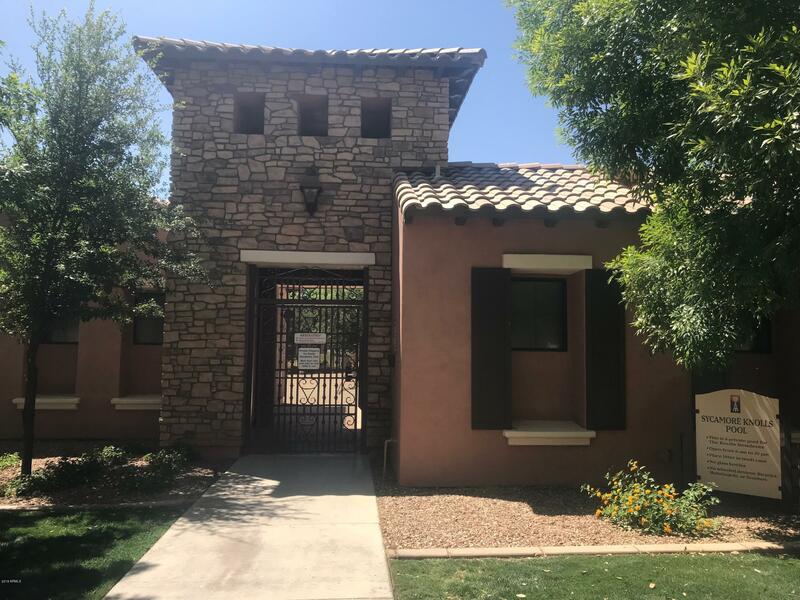 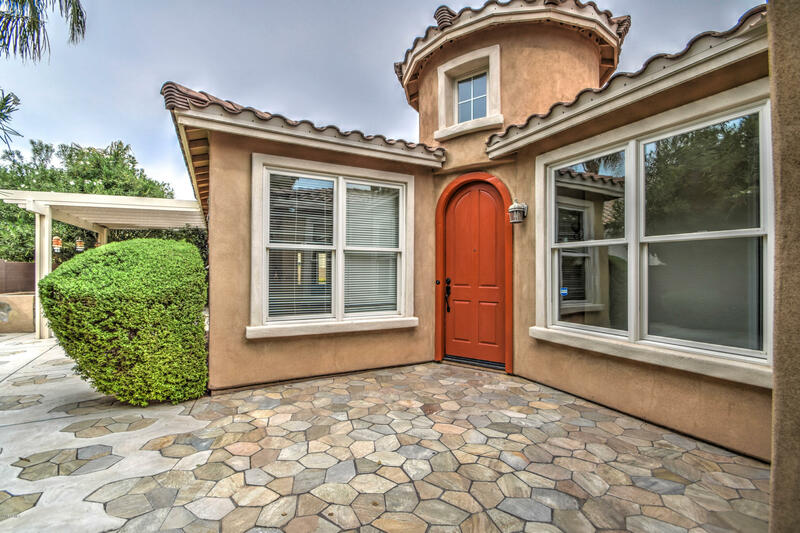 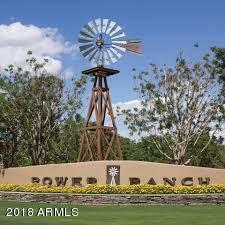 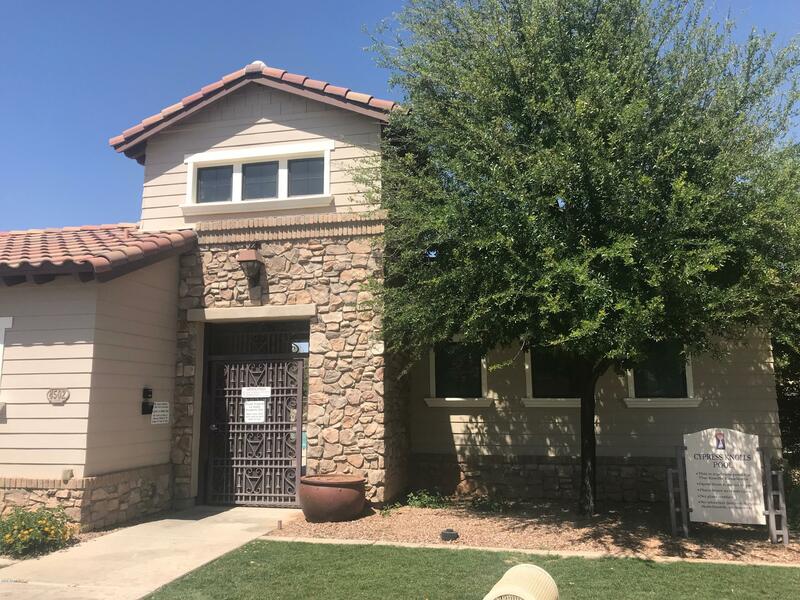 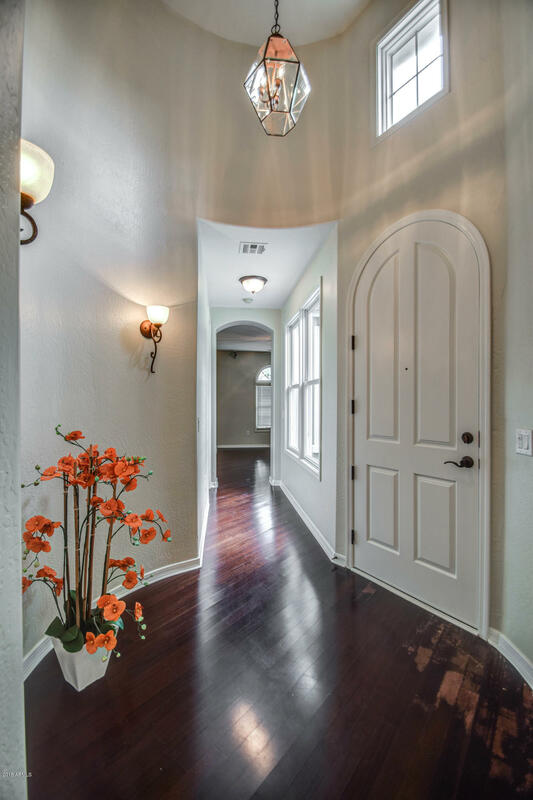 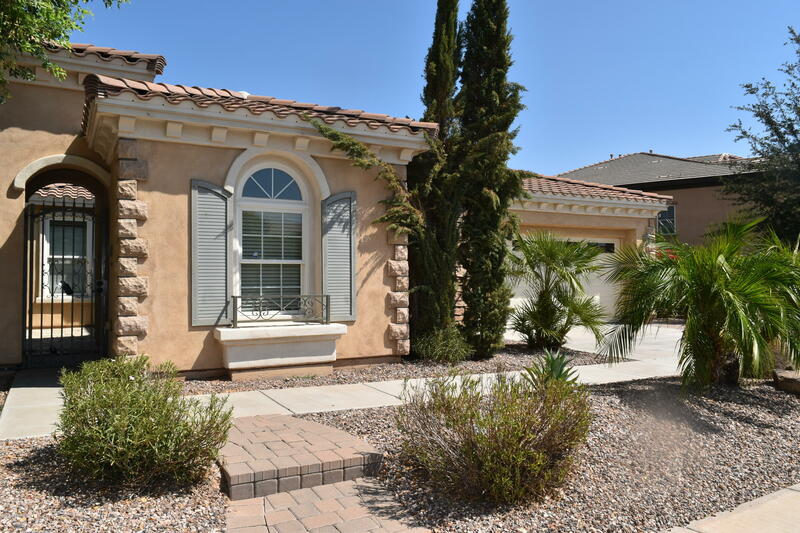 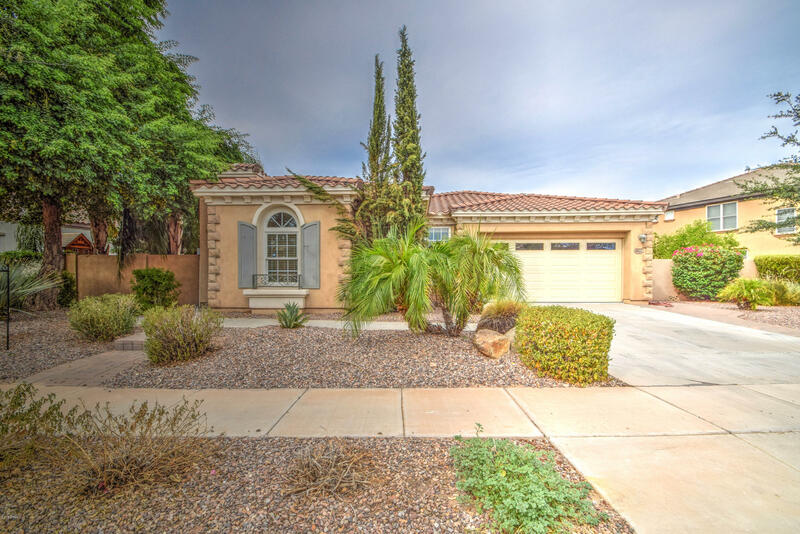 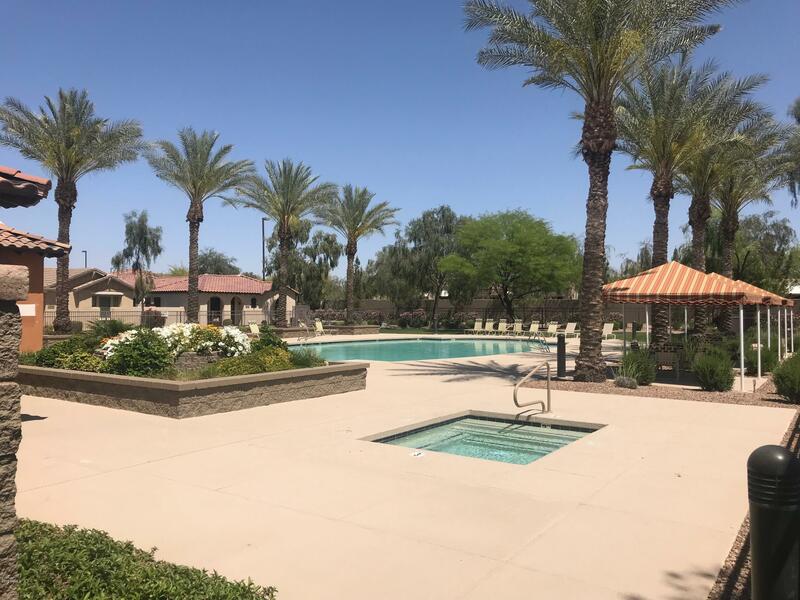 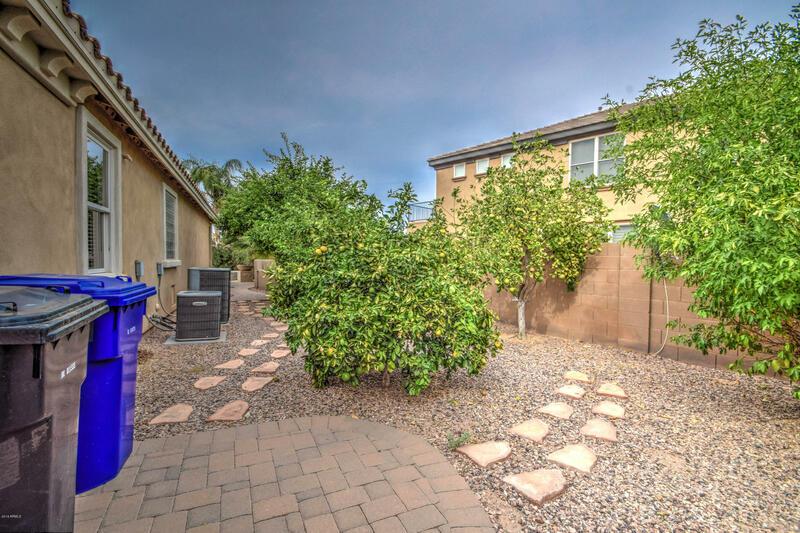 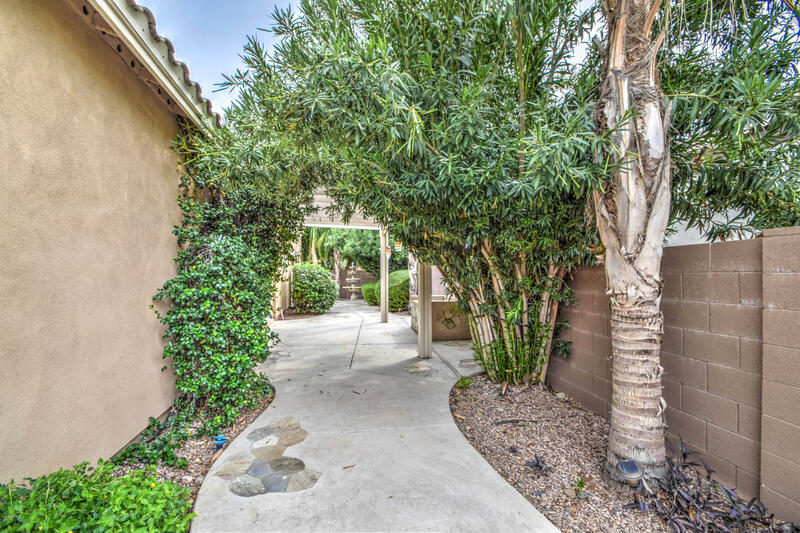 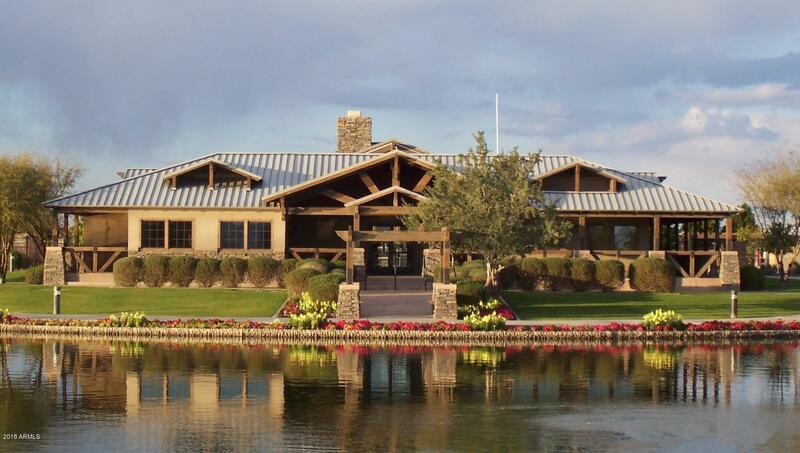 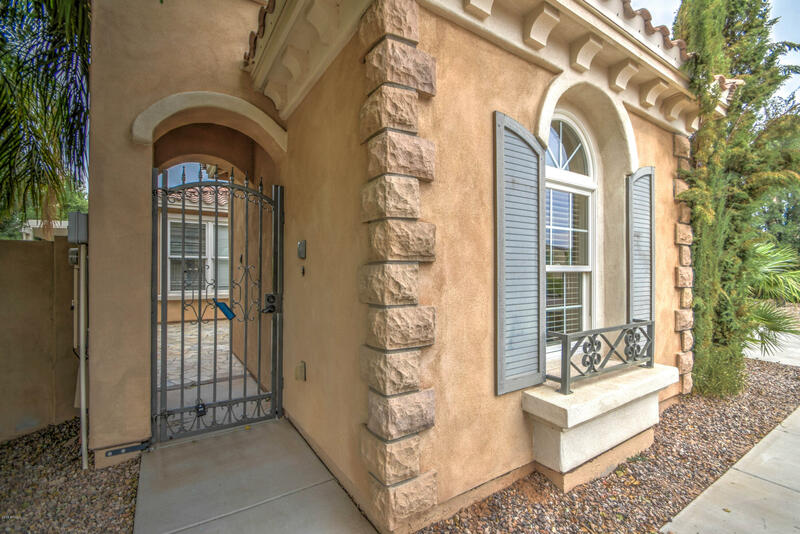 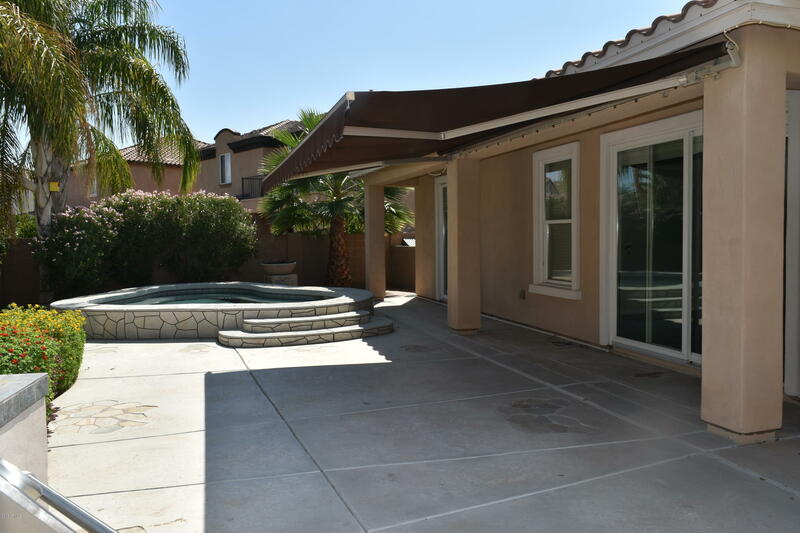 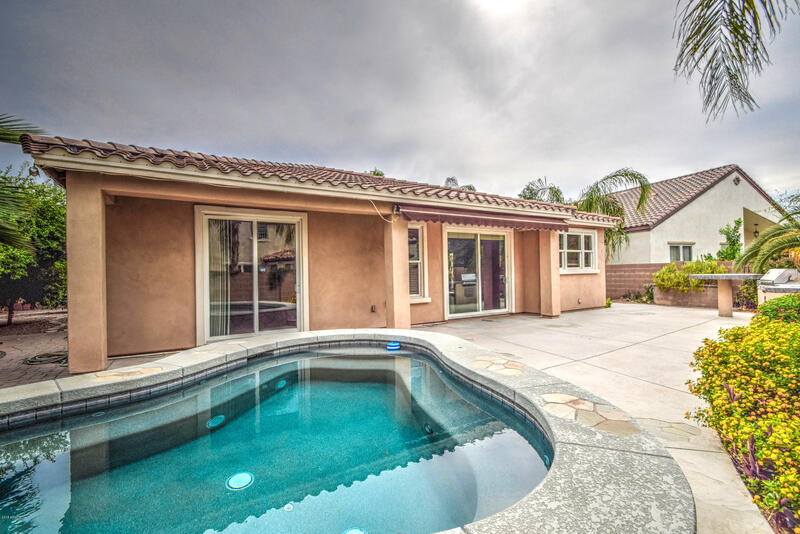 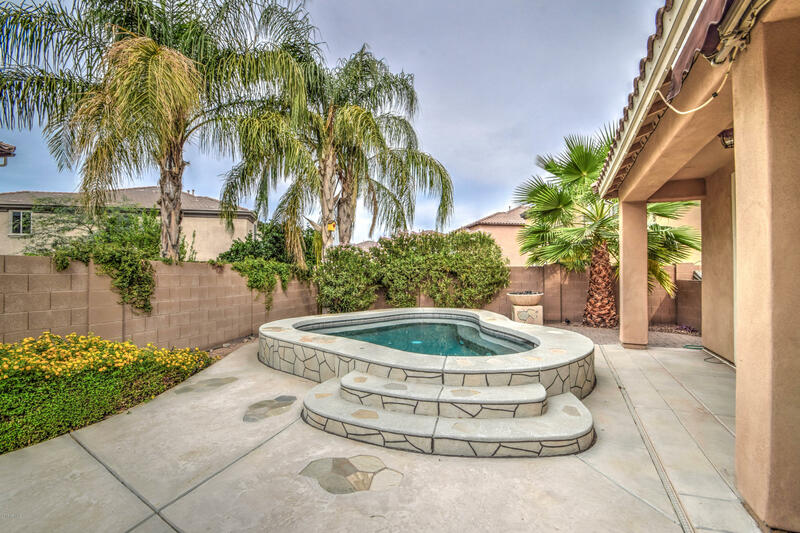 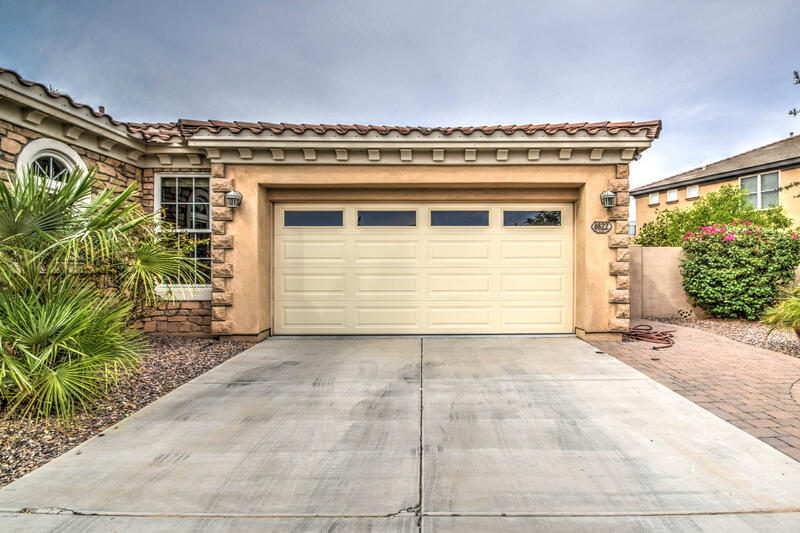 Amazing opportunity to move in to one of the most desirable and well known communities in the East Valley. 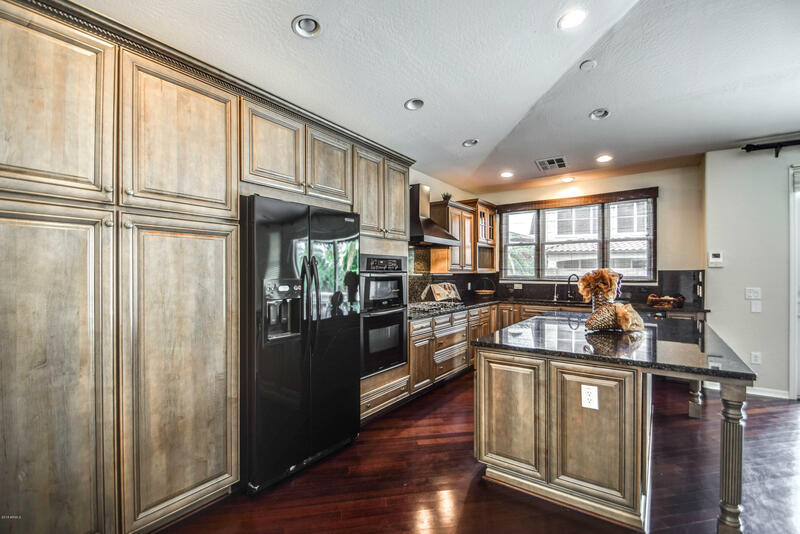 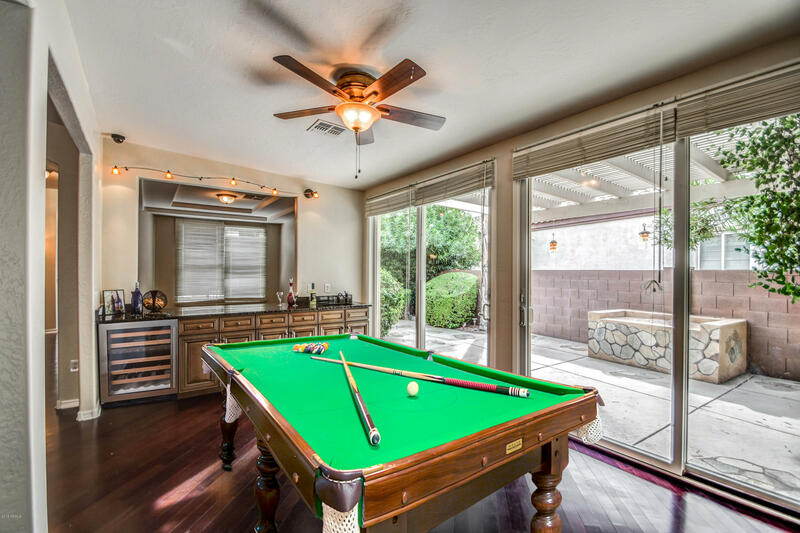 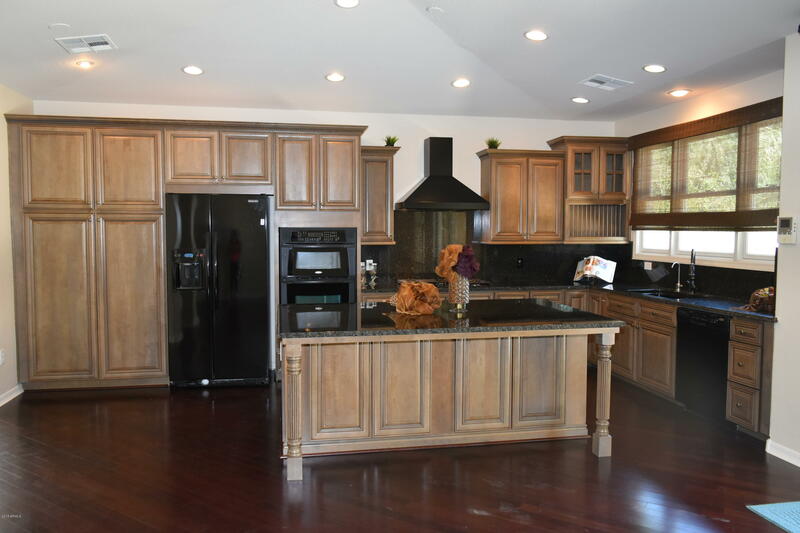 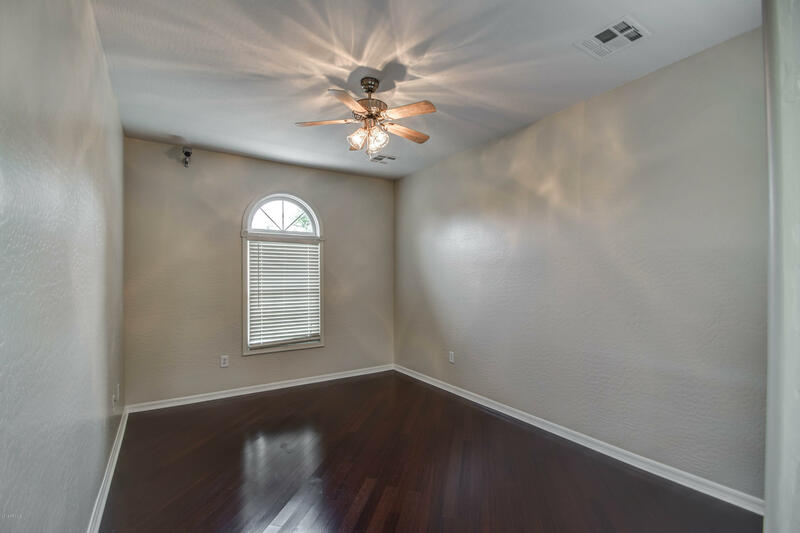 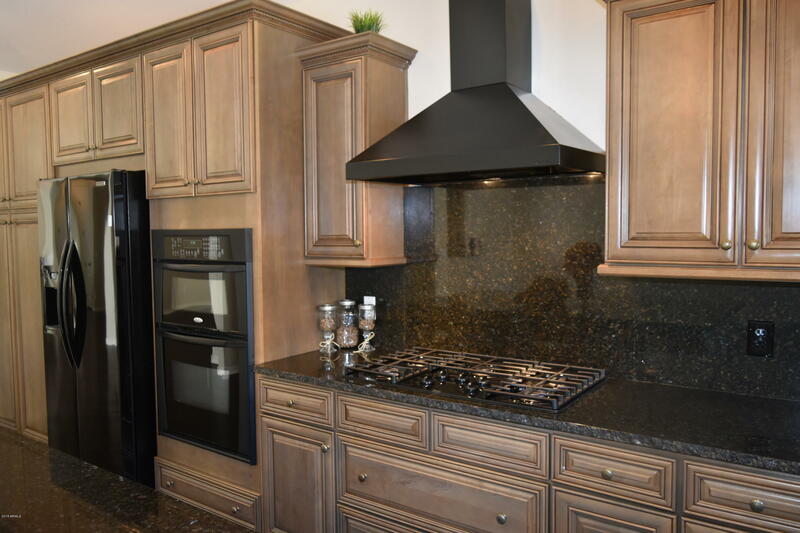 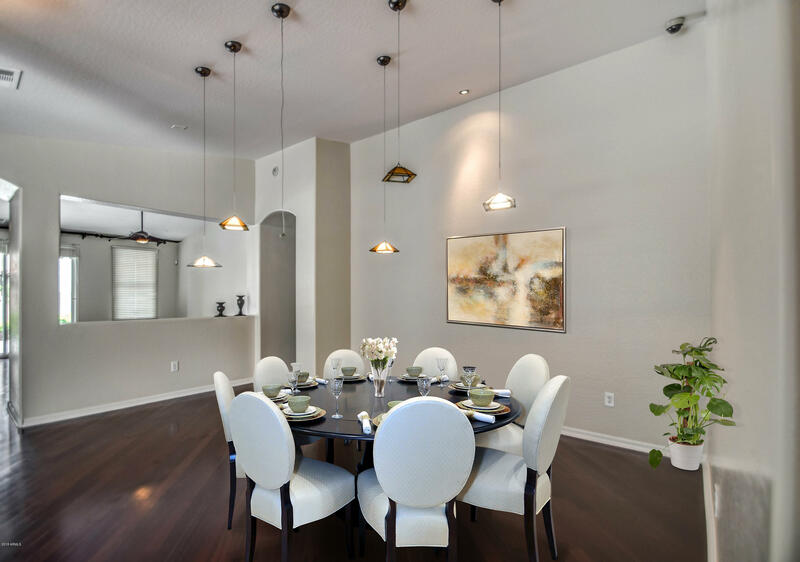 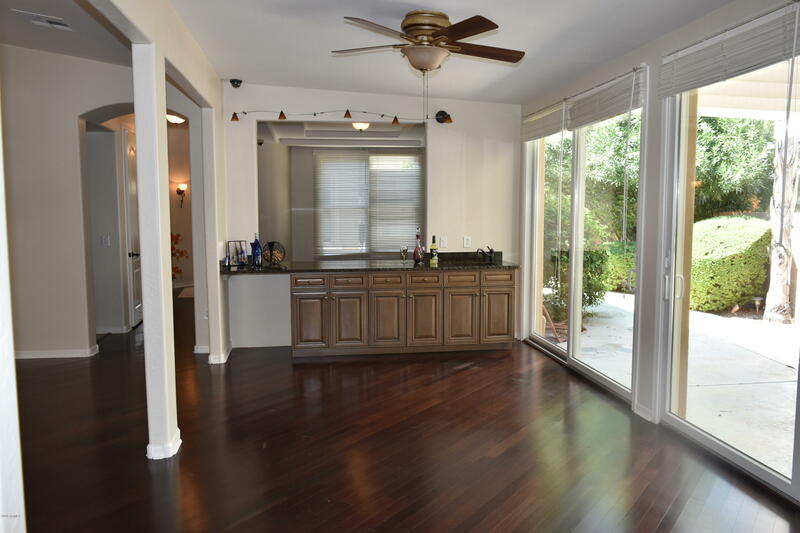 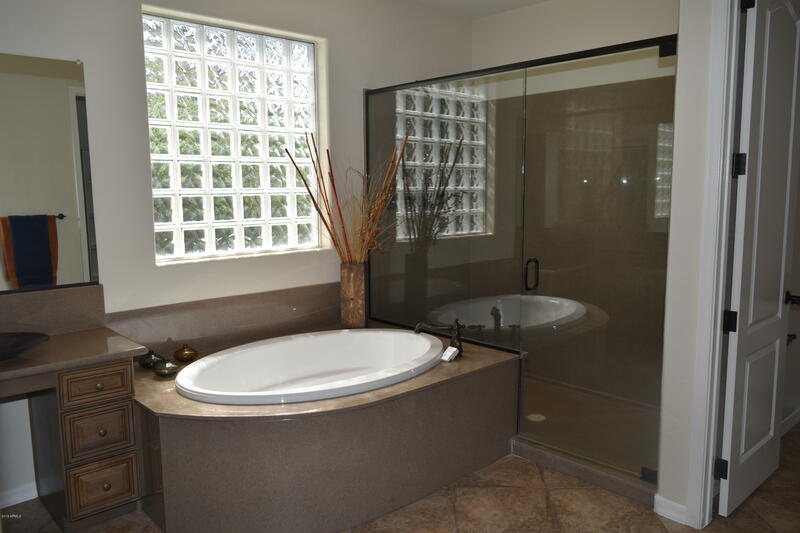 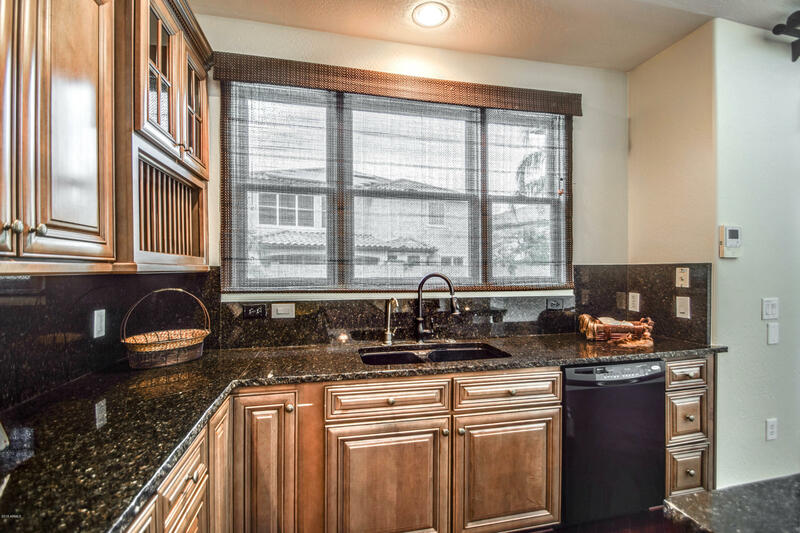 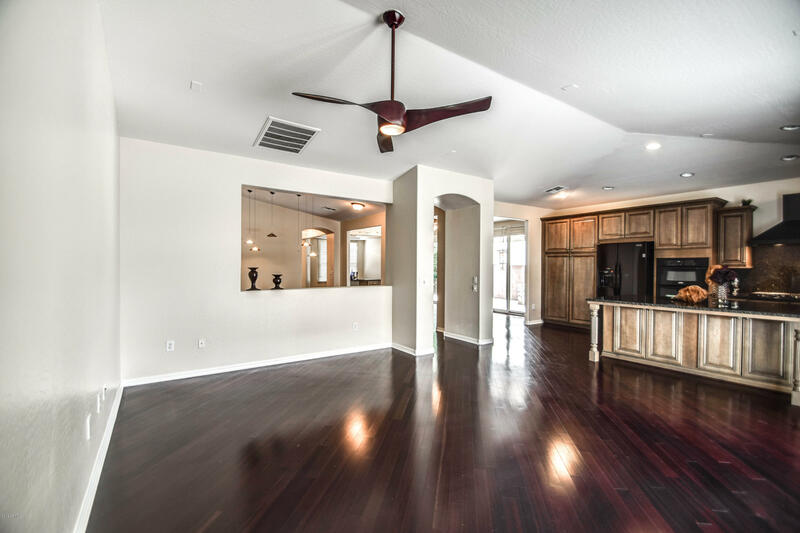 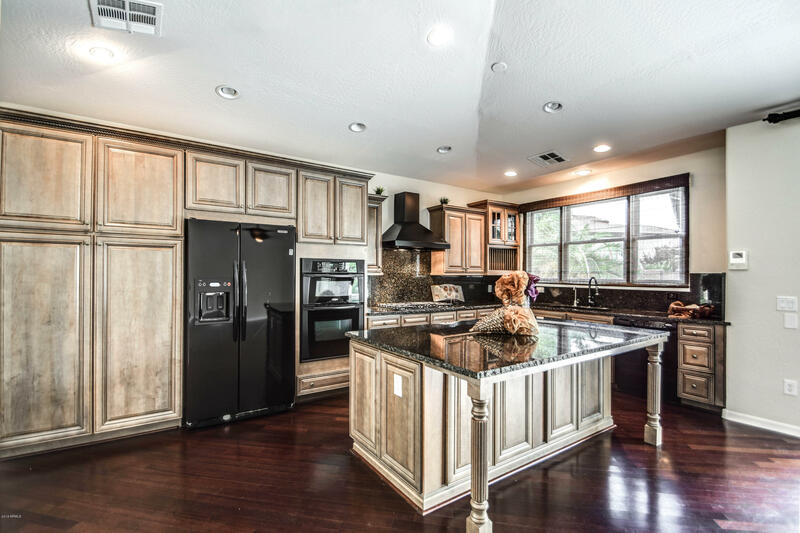 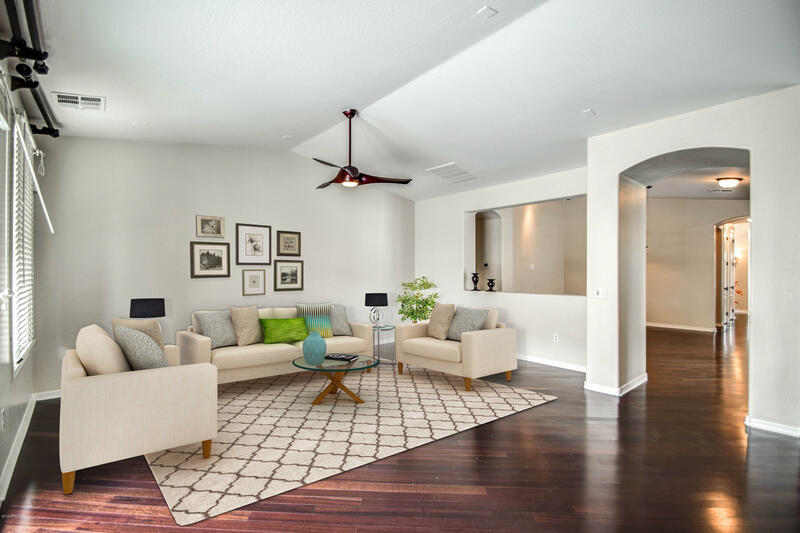 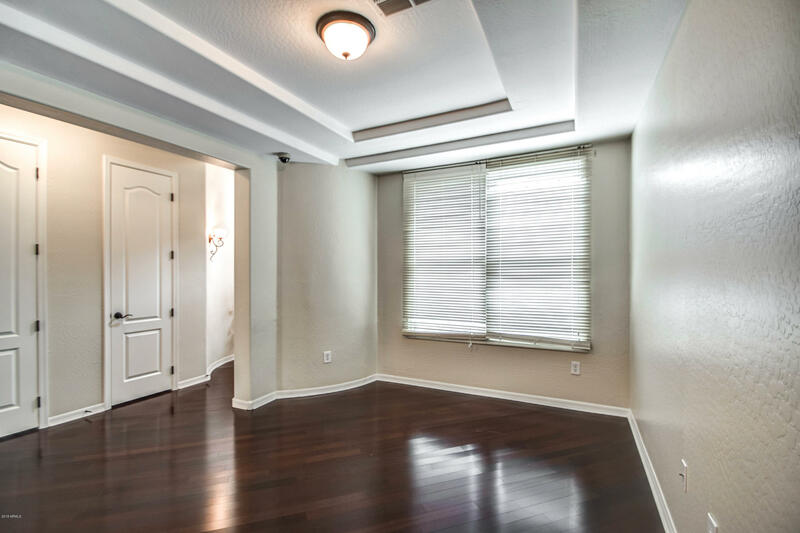 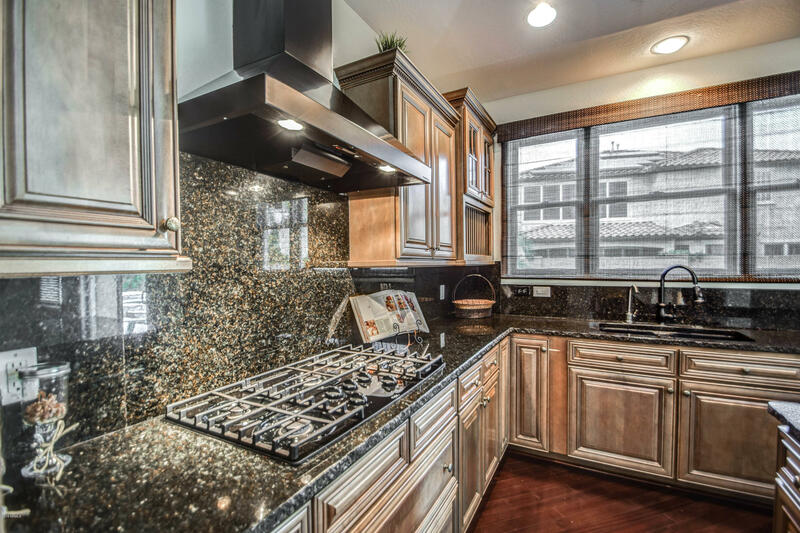 This Single level home has more room than you can imagine including the luxury gourmet kitchen with custom staggered cabinets,granite,large center island with tons of storage space,pull out shelving & drawers, gas cooktop & KitchenAid refrigerator also included. 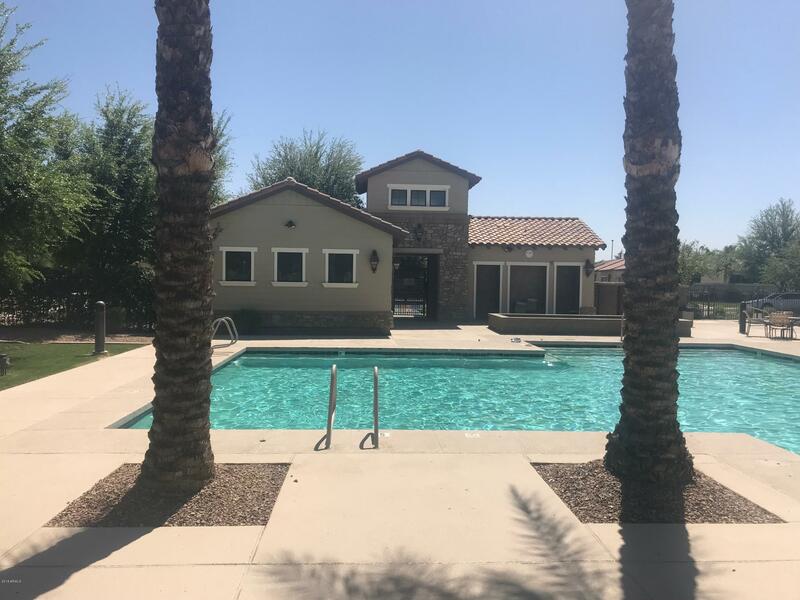 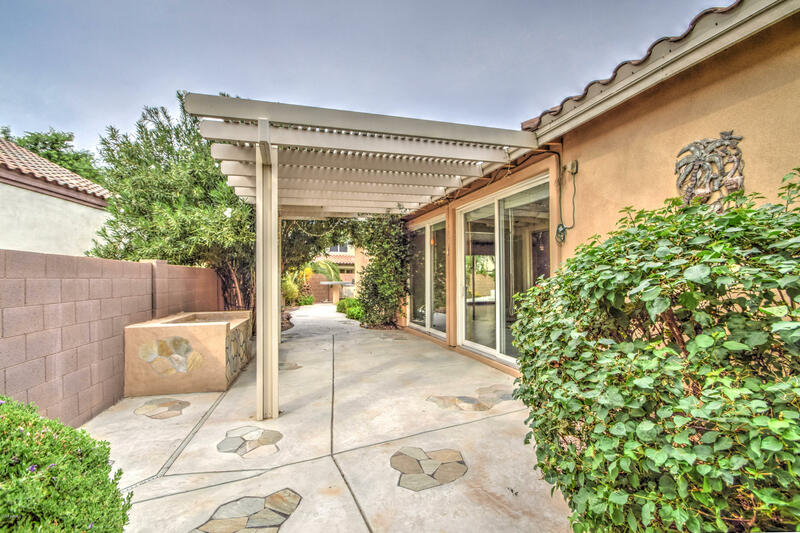 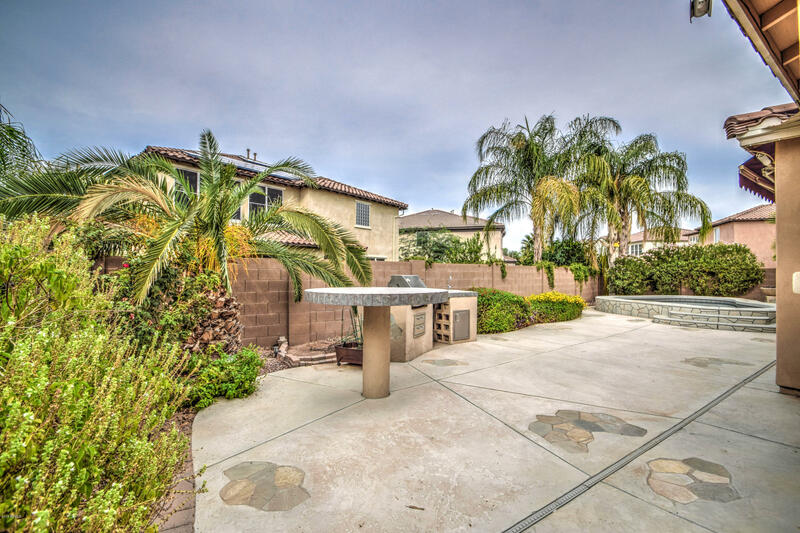 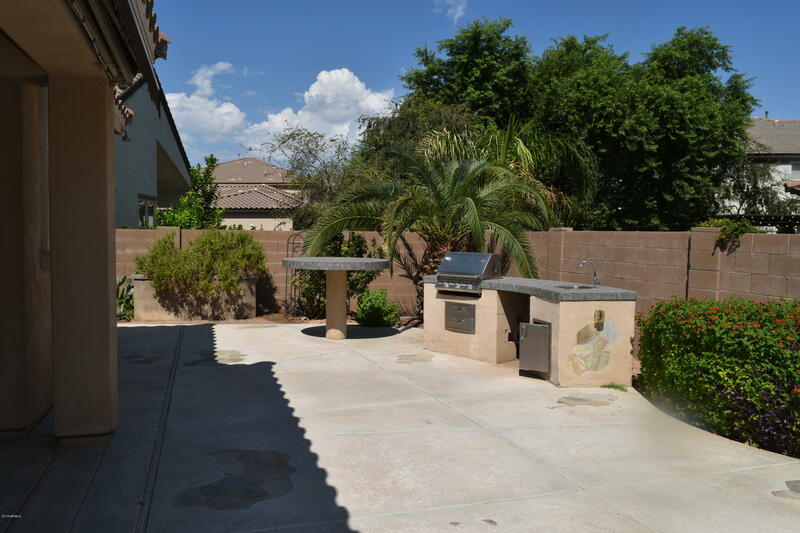 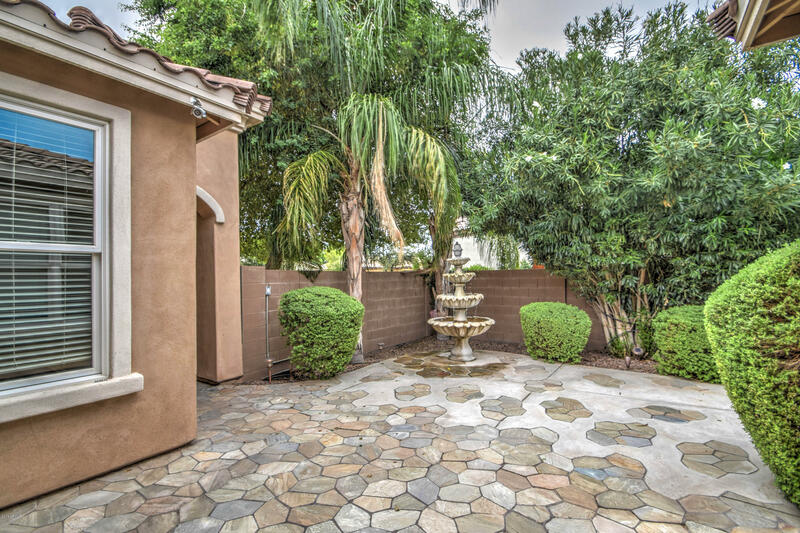 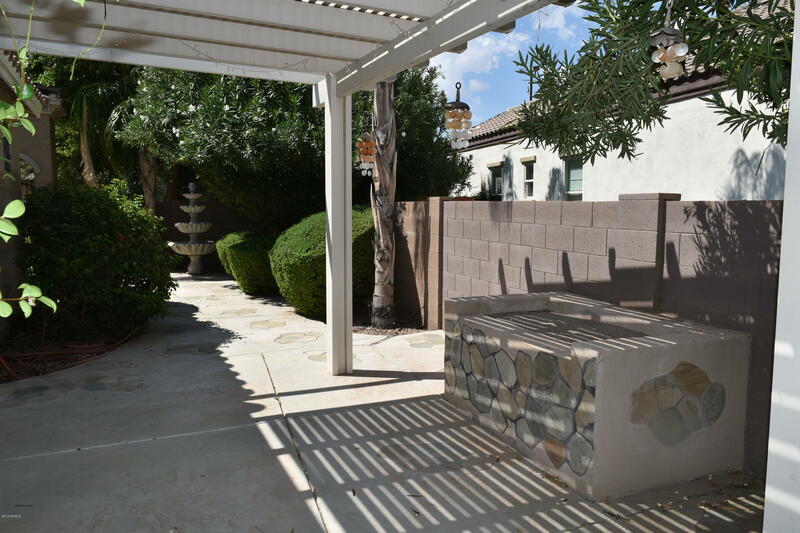 Outdoor is a complete paradise with low maintenance from the wrap around gated courtyard to the side pergola with sand fireplace to the backyard built-in BBQ island,a refreshing spool with jets for up to 15 people, gas firebowl plus coveredd patio. 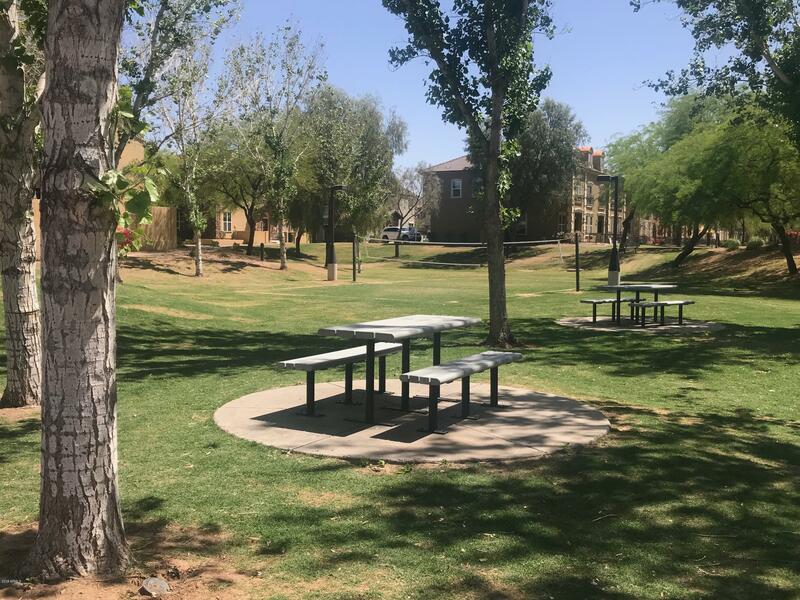 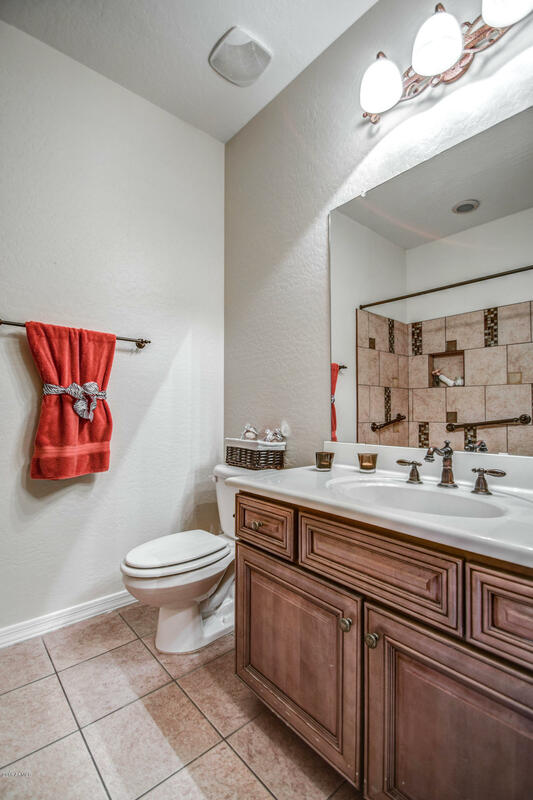 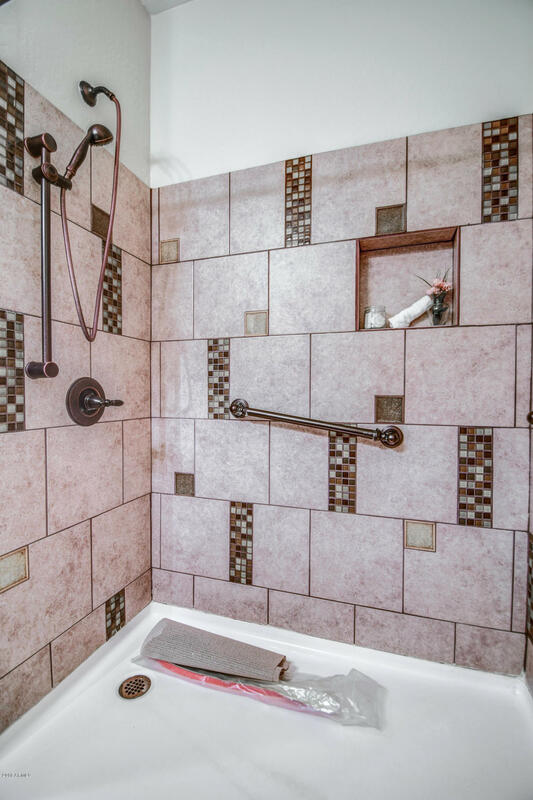 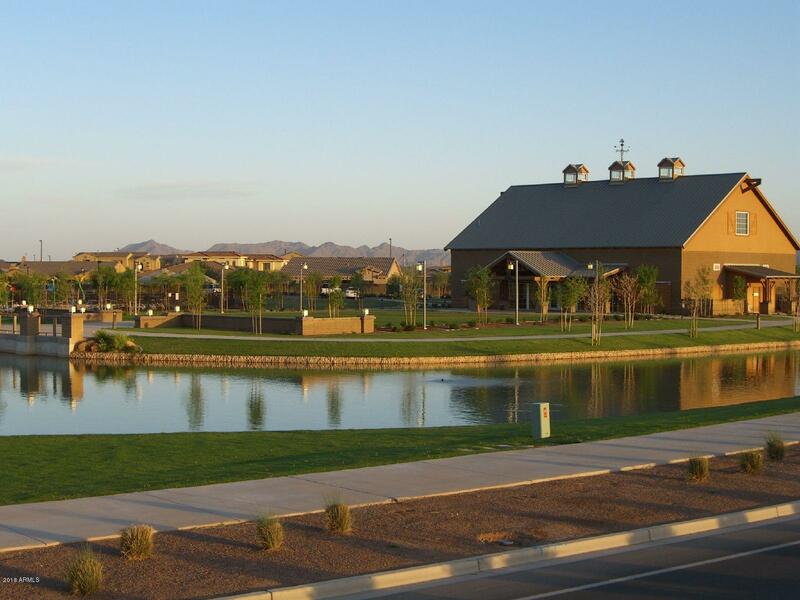 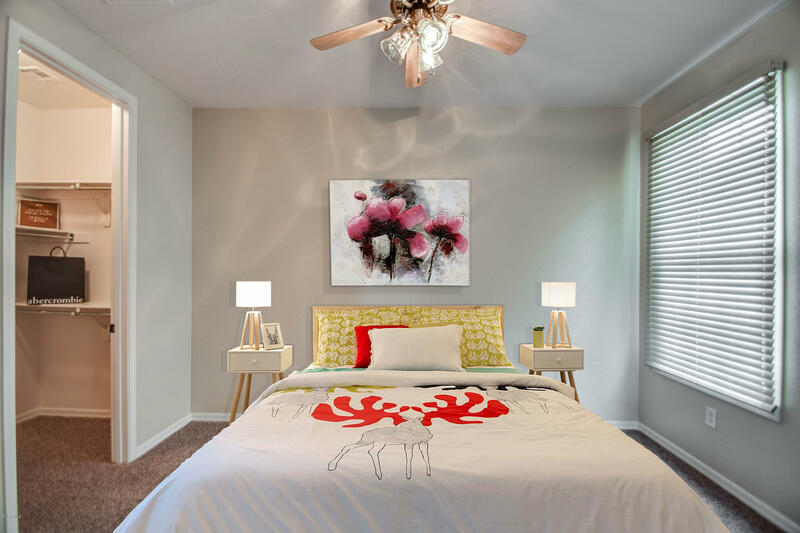 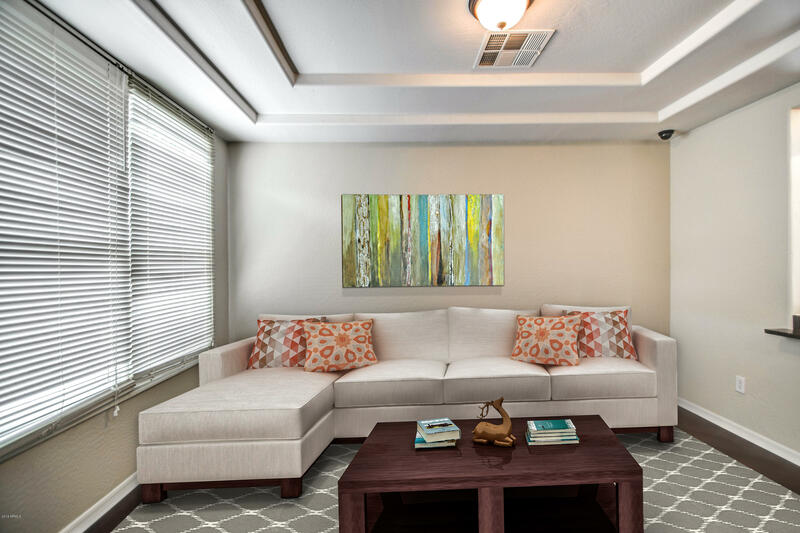 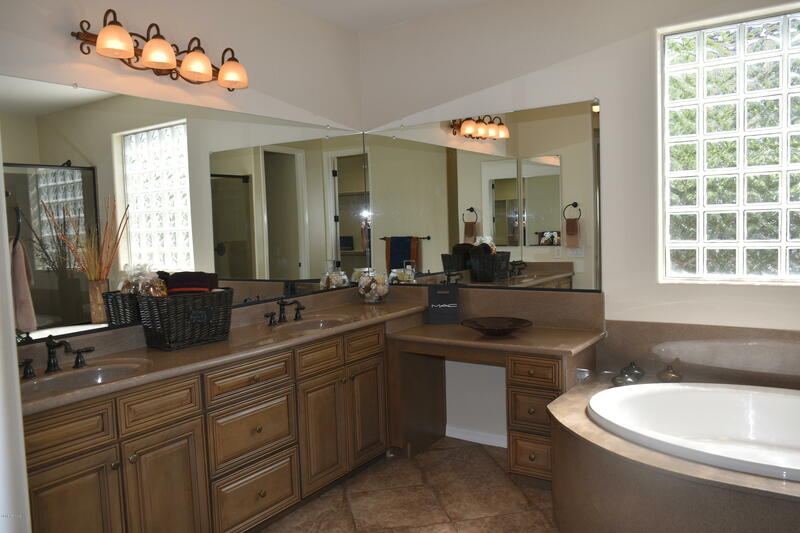 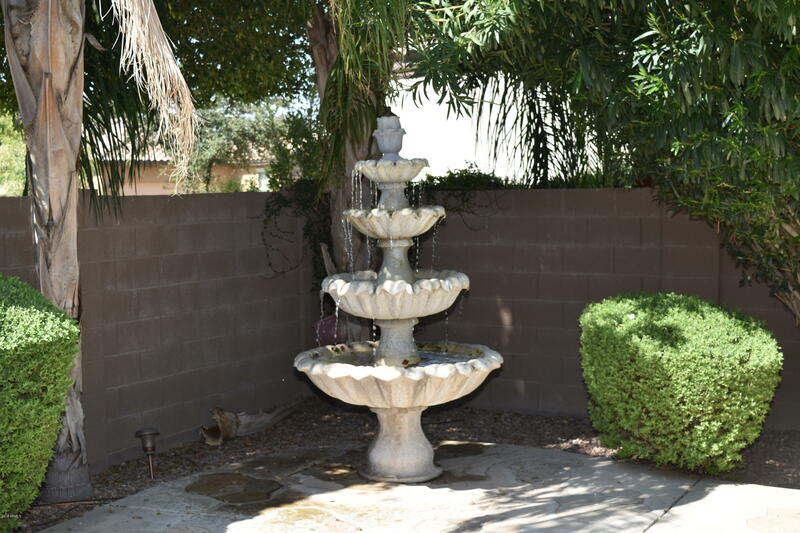 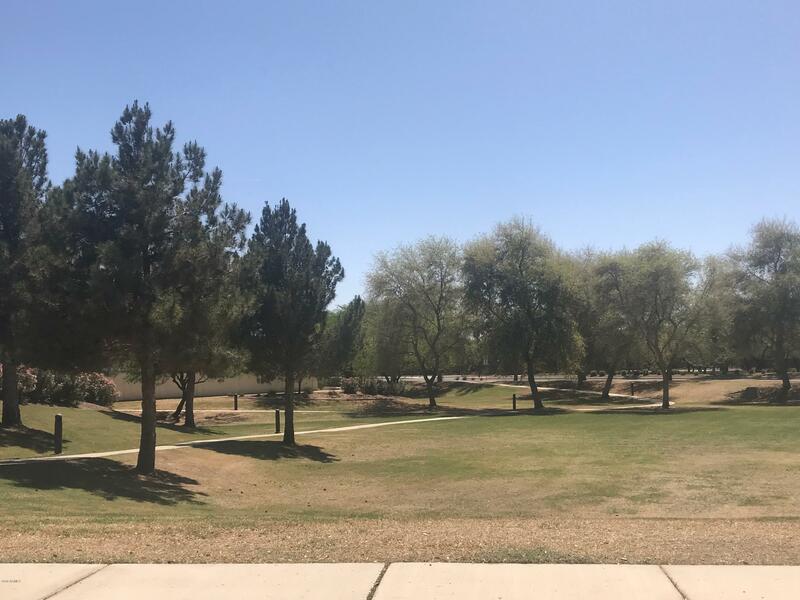 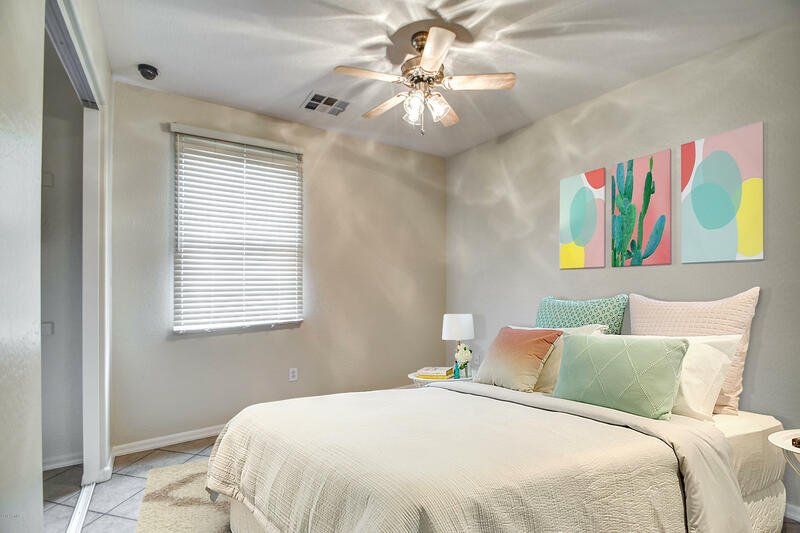 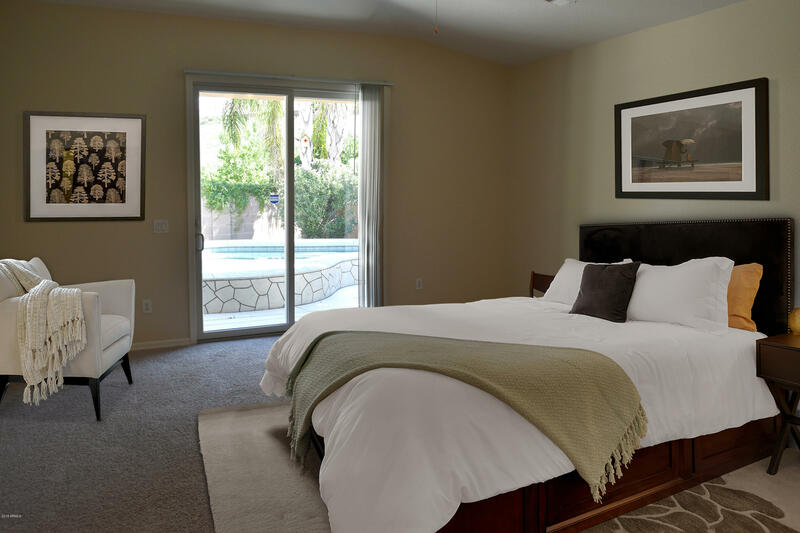 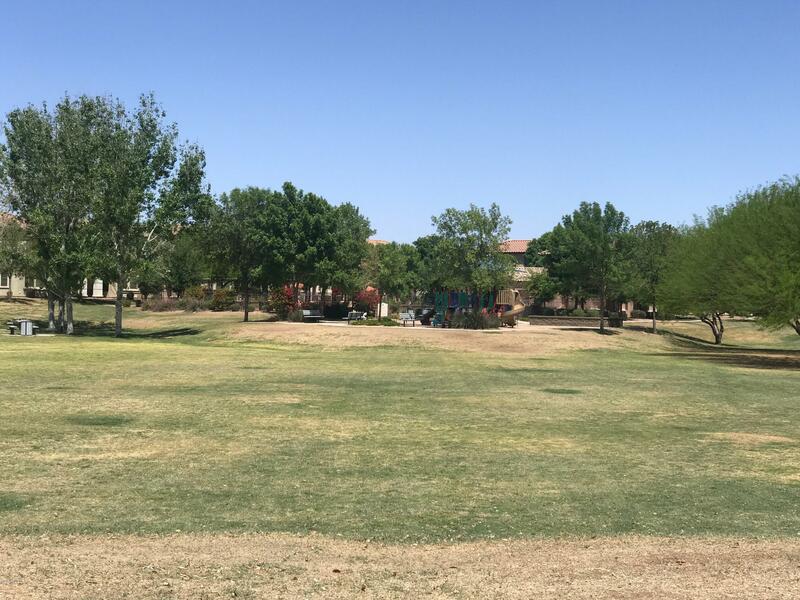 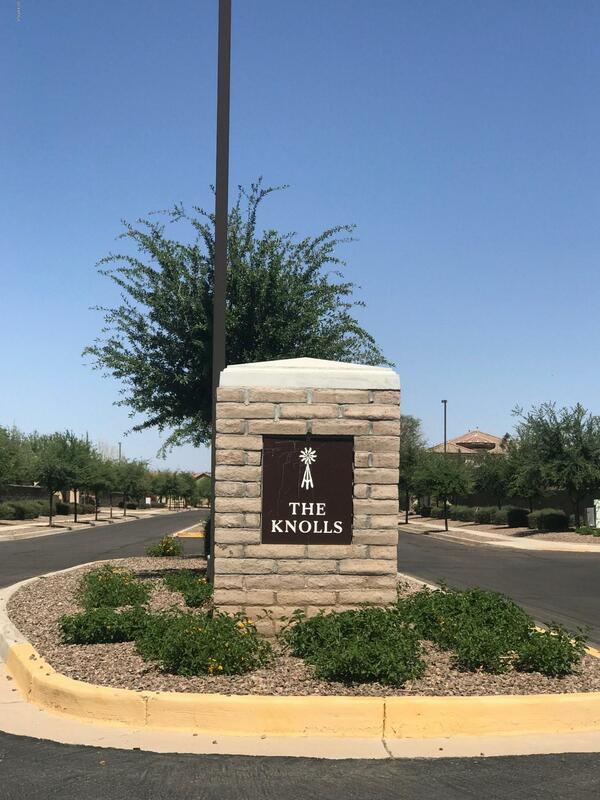 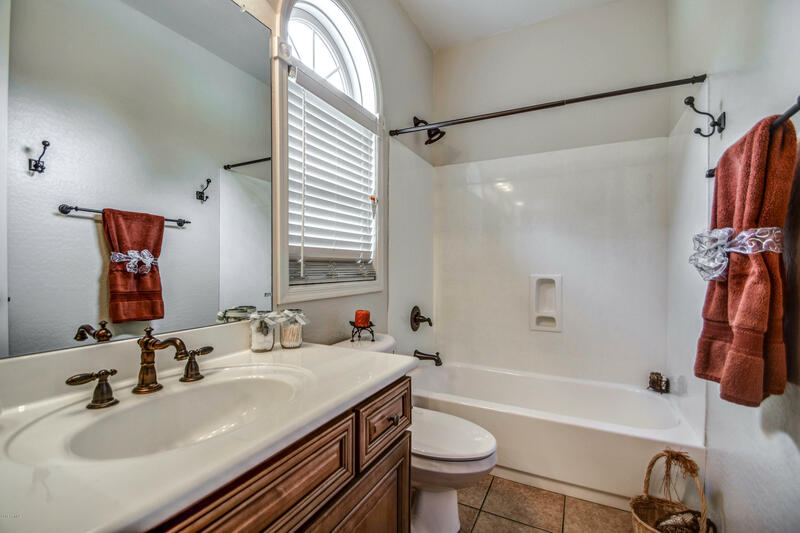 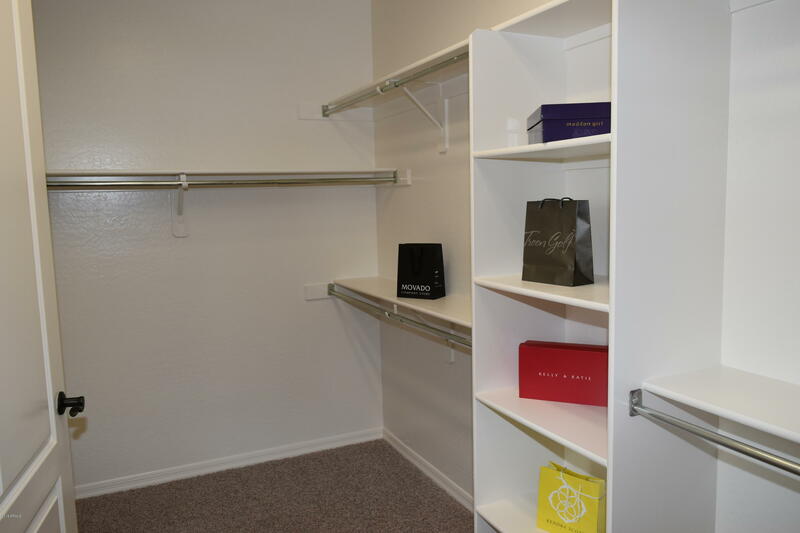 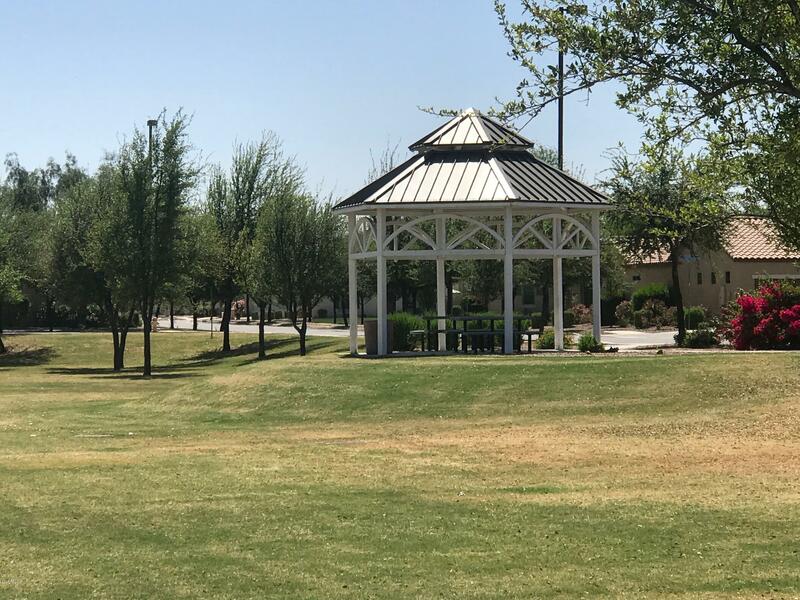 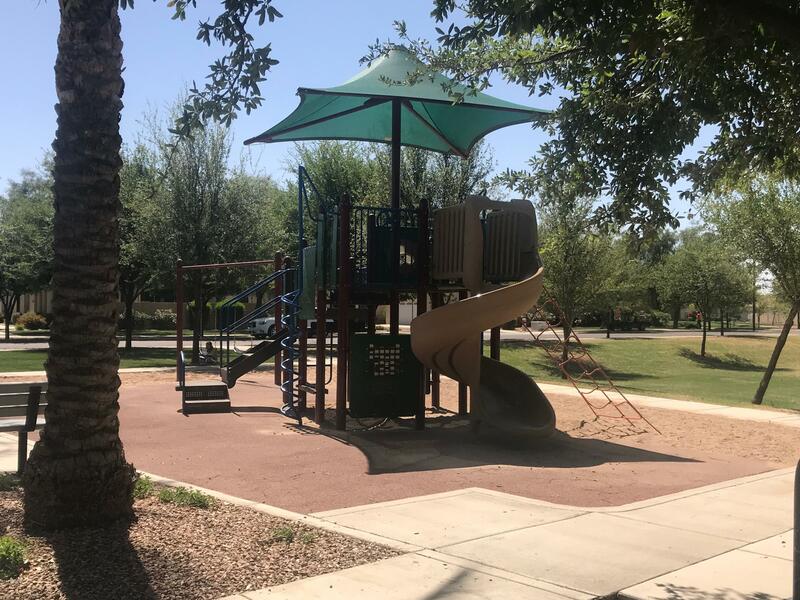 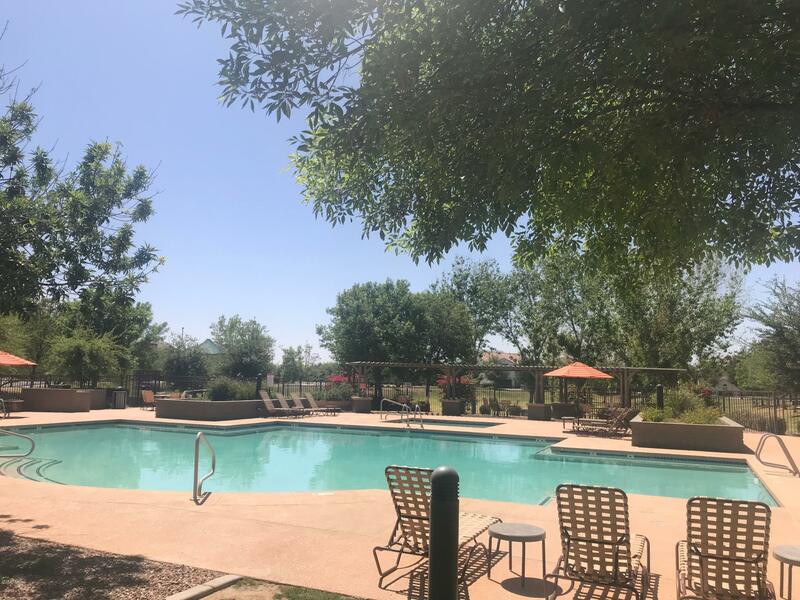 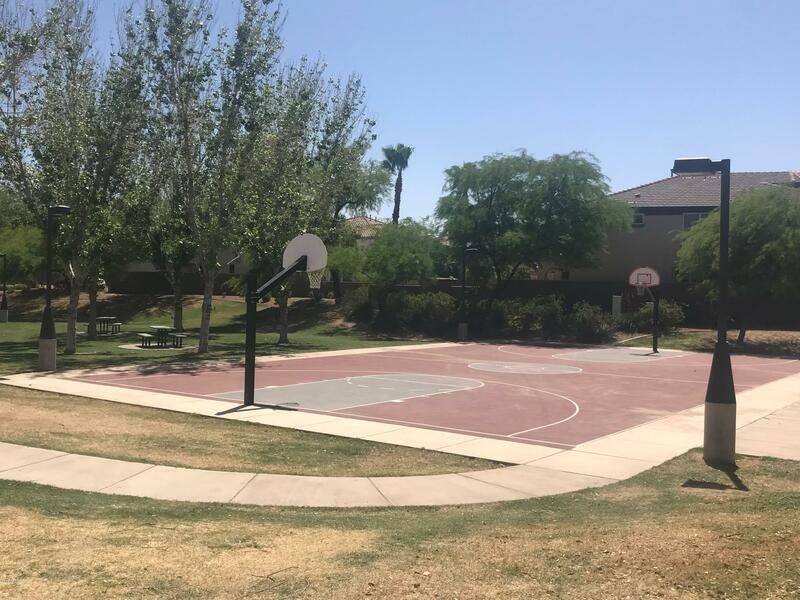 Within walking distance to the elementary school,community parks & pools,near high school,medical, churches,restaurants & San Tan Mall. 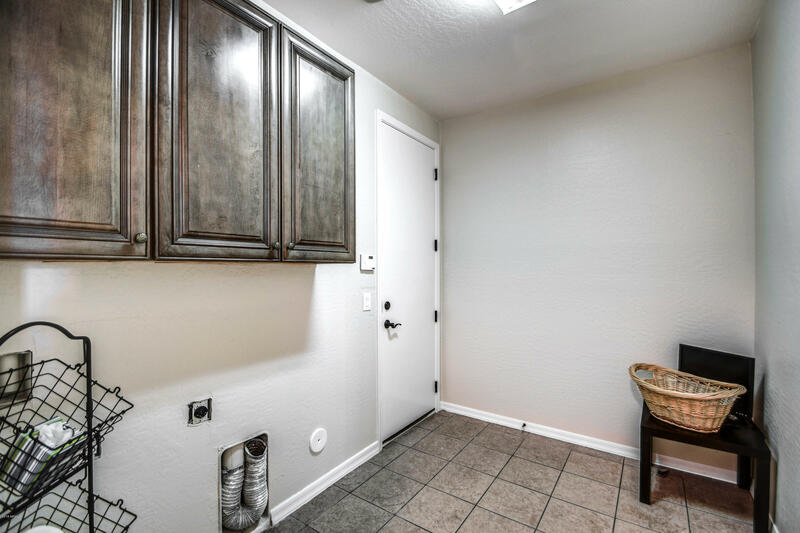 PRICED BELOW APPRAISAL FOR A QUICK SALE.